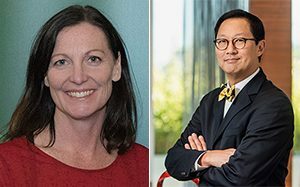 Join fellow UBC alumni and friends in Victoria to hear from the UBC Faculty of Forestry’s Professor Lori Daniels, MSc’94, followed by a Q&A that will be moderated by UBC’s President & Vice-Chancellor, Professor Santa J. Ono. Following the program, mix and mingle at the reception. Presented in partnership with the UBC Faculty of Forestry. Guests are welcome. Advance registration is required. Faculty of Forestry grads: Please register by contacting Michelle Lindsay, Alumni Engagement Manager, UBC Faculty of Forestry, at michelle.lindsay@ubc.ca. Questions? Please contact Tristy Chau at alumni.events@ubc.ca or 1-855-427-5767. 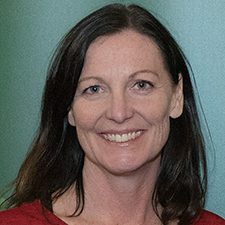 Lori Daniels is a Professor of Forest Ecology in the Forest and Conservation Sciences Department at UBC-Vancouver, where she directs the Tree-Ring Lab at UBC. Her research applies tree-ring analyses to investigate disturbance regimes and the impacts of climate and humans on forest dynamics. With her graduate students, Lori has on-going research on fire regimes, forest dynamics, forest and community resilience to climate change in coastal and interior British Columbia, the Rocky Mountain National Parks and foothills of Alberta. 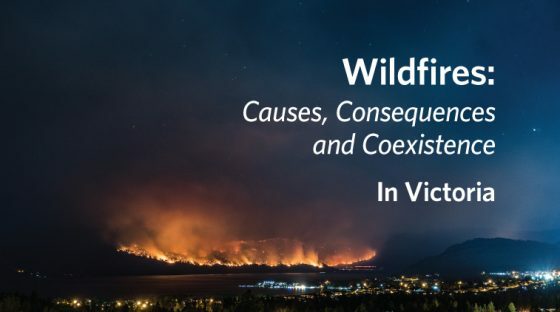 To contribute to effective wildfire science and management, she serves on BC’s Forest Carbon Initiative Science and Research and Advisory Committee and is member of the Canadian Wildfire Strategy Implementation Team. Are you living in Victoria but not receiving event invitations? We may not have your current address.